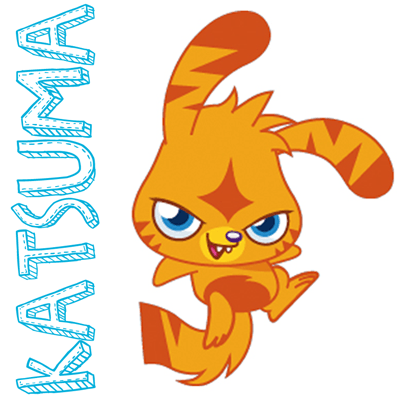 Today we will show you how to draw Katsuma from Moshi Monster. Moshi Monsters is a brand new online game where you can adopt your very own pet monster. 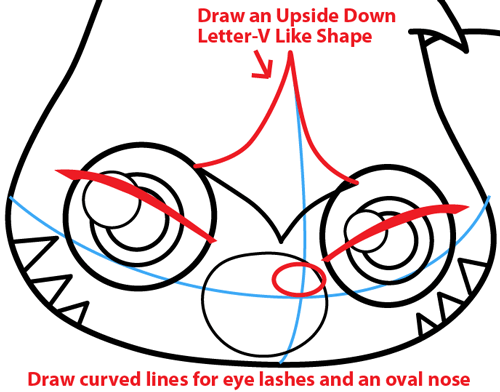 According to Wikia.com, “Katsumas are Monsters with natural health, so it’s okay if you leave one.” Learn how to draw Katsuma with the following simple step to step lesson. 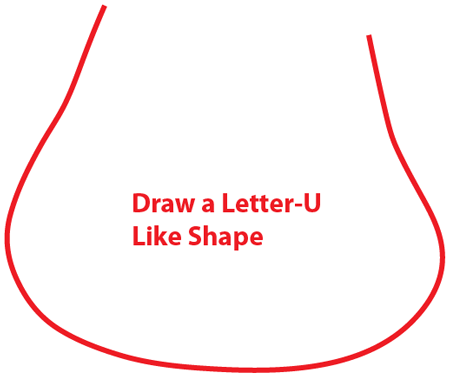 First you need to draw a letter ‘U’ like shape. Then draw guidelines in the face to help place the facial features later. Next you need to draw the ears. 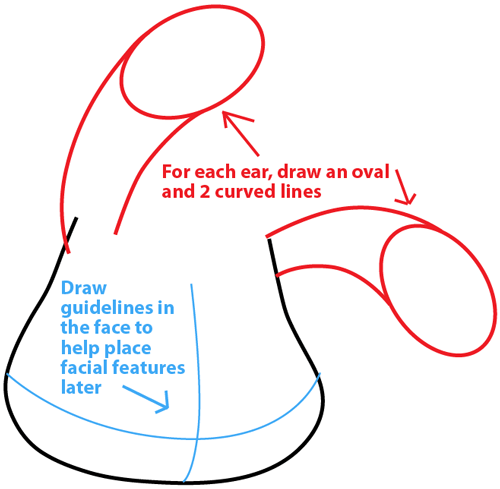 For each ear, draw an oval and two curved lines. 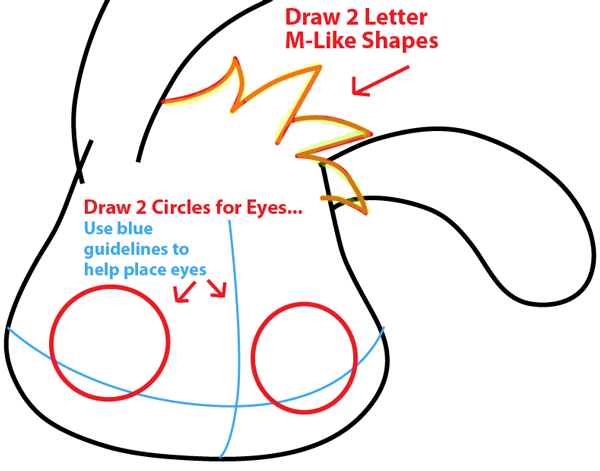 Draw two ‘M’ like shape for the hair and two circles for the eyes. Use the blue guidelines to help you place the eyes. 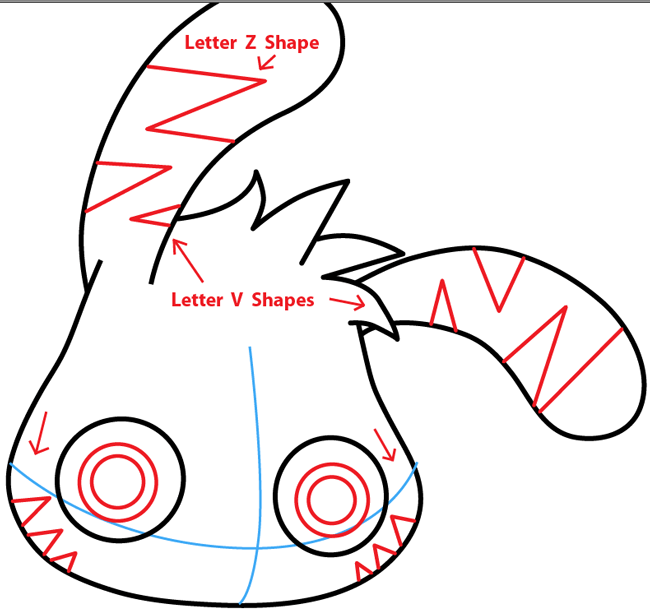 Draw two circles within each eye and draw the little details on his face and hair by using letter ‘V’ shapes and letter ‘Z’ shapes. 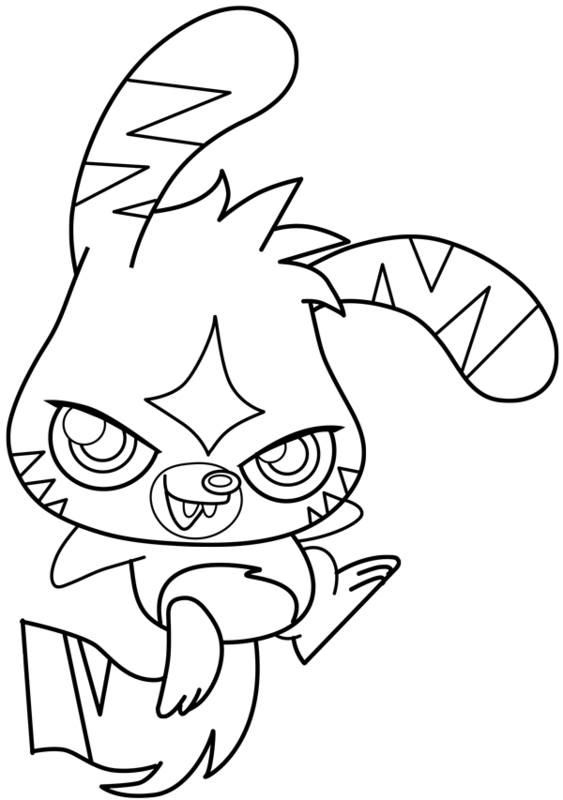 Next draw the little details to his eyes and then draw an oval shape for his mouth area. 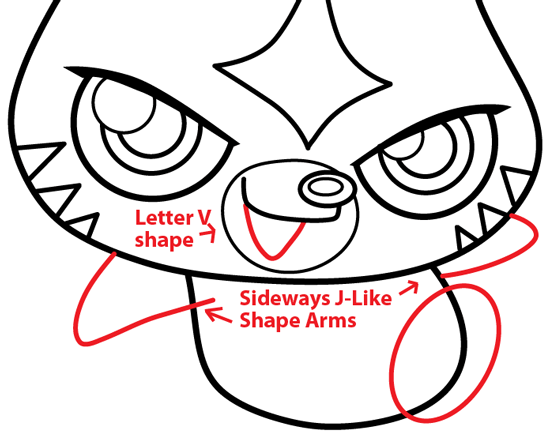 Then draw a letter ‘V’ shape to start the little detail on his forehead. Draw curve lines for the eye lashes and an oval nose. 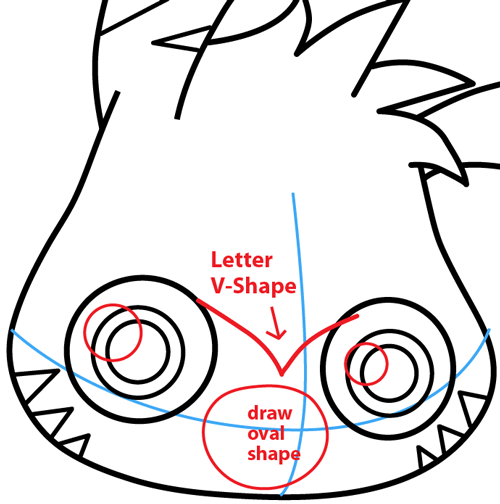 Then draw an upside down letter ‘V’ like shape to complete his forehead detail. Draw a letter ‘U’ like for the body and a sideways letter ‘C’ like shape for his upper lip. Then draw a circle within the nose to complete the nose. Complete his bottom lip by drawing a letter ‘V’ shape. Then draw a letter ‘J’ like shape for his arms. 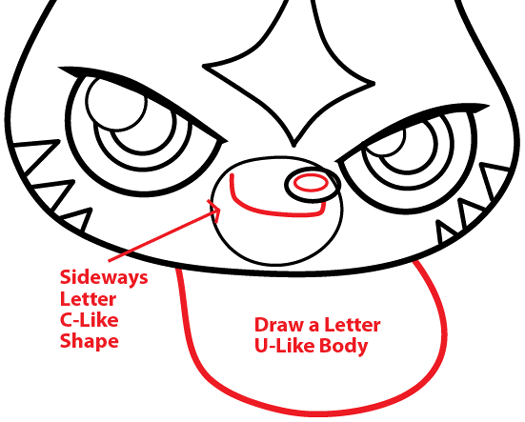 Next, draw an oval shape for the upper leg and erase the left side of the oval (scroll down to step 9 to see how). 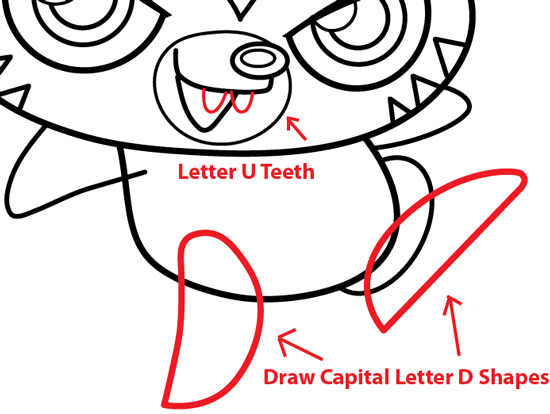 Draw two letter ‘U’ shape teeth and draw capital letter ‘D’ shapes for his feet. 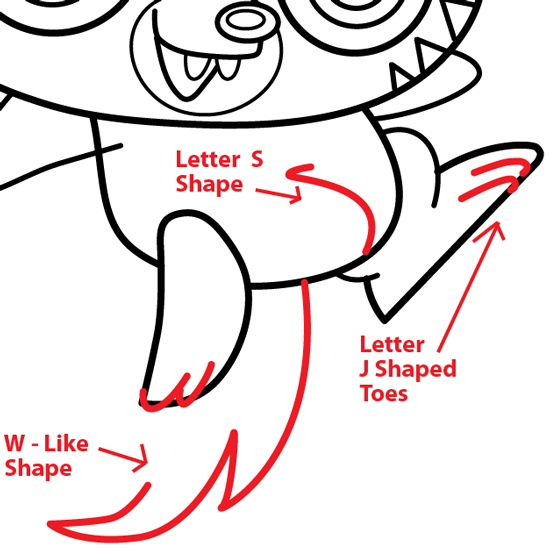 Use the illustration above to complete his feet and start his tail. 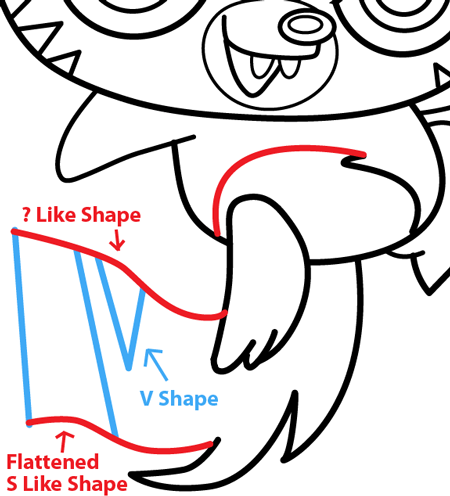 Finally complete his tail by drawing a letter ‘V’ shape, a ‘?’ like shape and a flattened ‘S’ like shape.